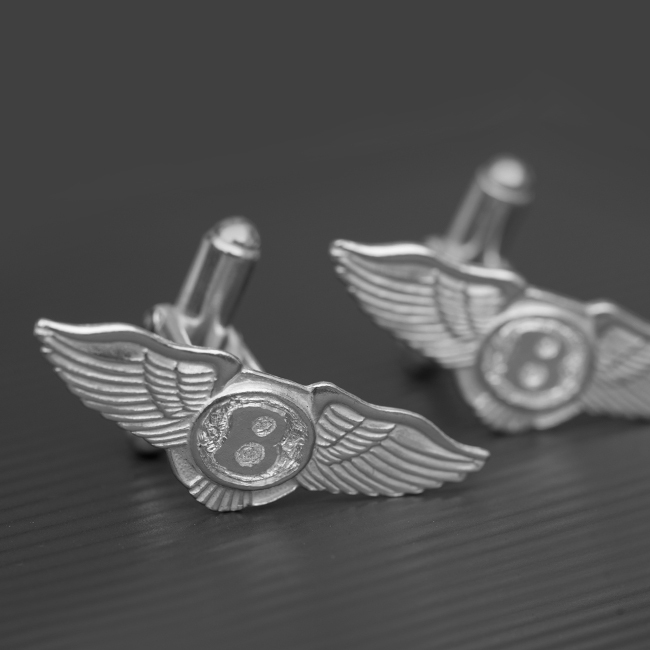 The Bentley Cufflinks are handmade and crafted from solid sterling silver. They have an organic look with an overall matte effect and hand engraved B’s to show the Bentley logo. Availability: In stock Size: N/A Categories: Featured, All Jewellery, Mens Jewellery, Commissions, Wedding Jewellery, Cufflinks, Wedding Gifts. 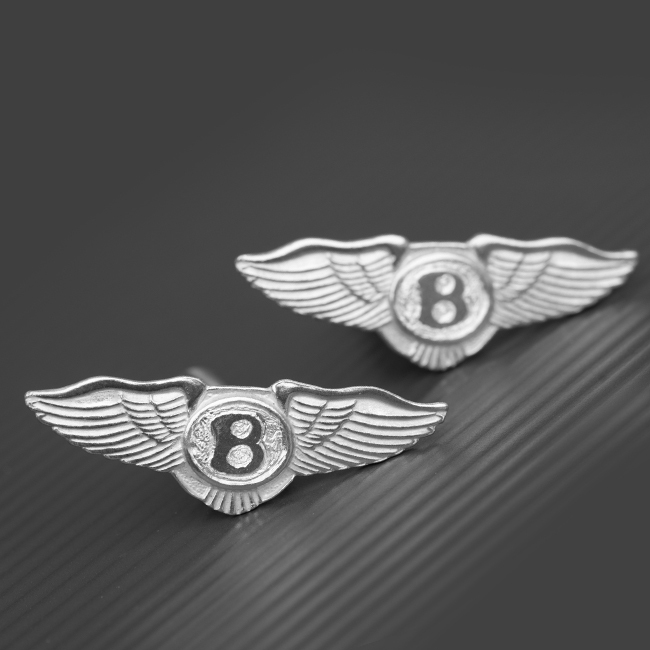 Tags: bentley, Bentley Cufflinks, bentley merchandise, bespoke, bespoke silver, car cufflinks, commission, cufflinks, handmade, LWSilver, solid silver bentley jewellery. Materials: 925 sterling silver, I like a clean – read more about LWSilver services.